It's summer time and the living's easy. When I'm not trying a new IPA or attending wedding/pool activities, I'm spending my leisure time on my post-Spartacus era robotics project. Being a strong supporter of open source software and hardware, my research on finding the right prototyping hardware for my ambitious new project led me to Makeblock.cc. They ran a successful Kickstarter campaign back in January 2013 and from what I could tell, it looked like the industrious entrepreneurs had designed a high quality product. I decided to order their Lab and Robotics electronic kits to get a full sense of the capability of this open source construction platform. It's difficult for me to review a construction set without comparing them to LEGO blocks. I've used LEGO Mindstorm products for hobby projects, engineering studies and even in the design of work training programs. I love this product series. 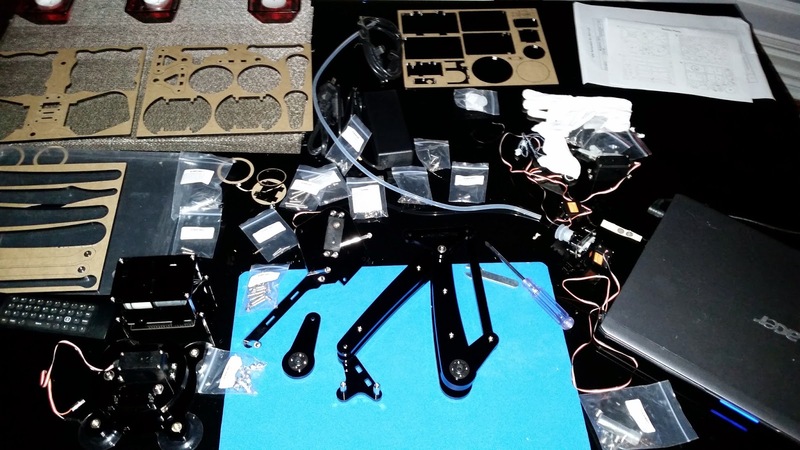 The Makeblock platform takes a similar approach, but with high quality aluminium parts instead of plastic and electronics that are Arduino based or compatible. 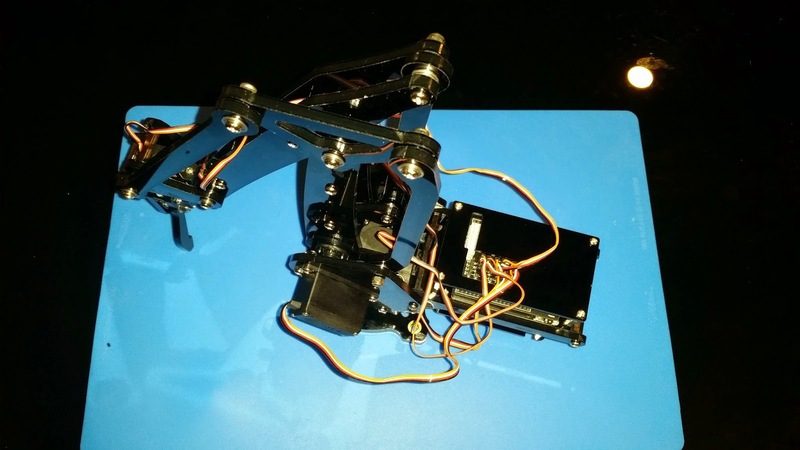 All of the common robotics sensors and motors are there, from ultrasonic sensors to stepper motor control. They also all connect quite nicely with RJ25 wires - no soldering required. This makes for a very versatile kit that is useful for beginners and for professionals. It's a real pleasure to work with the parts and the quality feel of the anodized aluminium is impressive. Of course, this comes at a price of overall expensive parts in large robotic prototypes. For my application, it is well worth the premium. From a software point of view, after I imported the Arduino scratch library, it was a breeze to test out running some motor controls. All of the code is available on github being true to the open source nature of this platform. 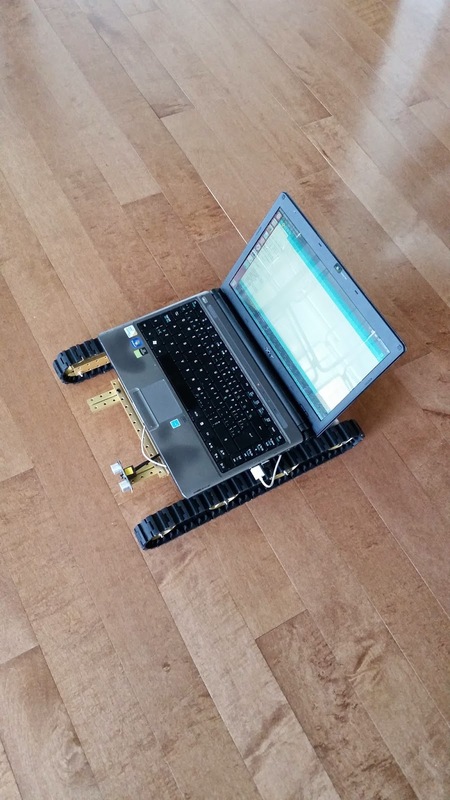 For a couple $100s it's possible to have a small robot roaming in your home in a matter of hours. 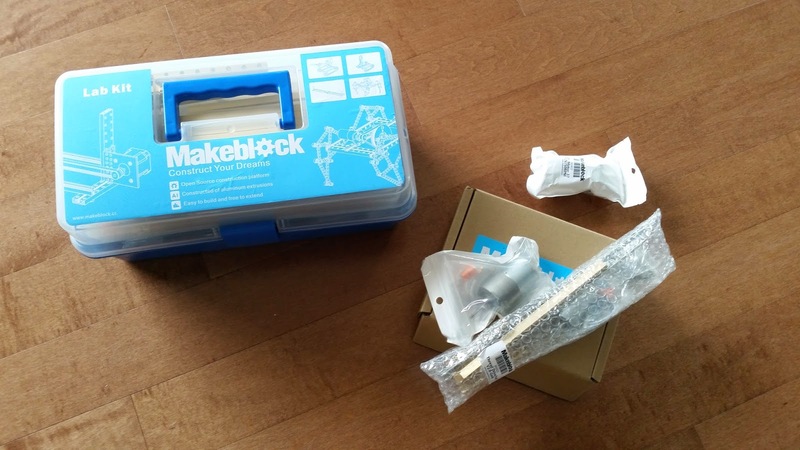 The folks at Makeblock have the right concepts in place for customer service from forums and wikis. Email wise, I also had some good back and forth with a sales rep (thanks Tony). The Leave a Message feature on their site didn't yield a reply to my initial questions but hopefully this was a unique instance and others have used the form with more success.